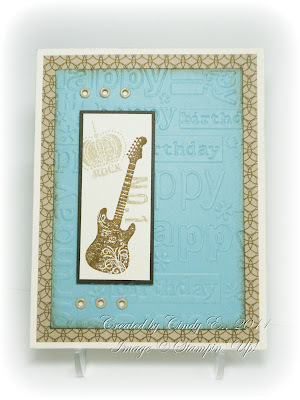 Today's card uses the guitar from Grunge Rock again, but this time for a teenage birthday. I think it would work for either a girl or boy, though the colors seem a bit more masculine. Still on the mission to use up my way-too-large stash of designer paper!!! 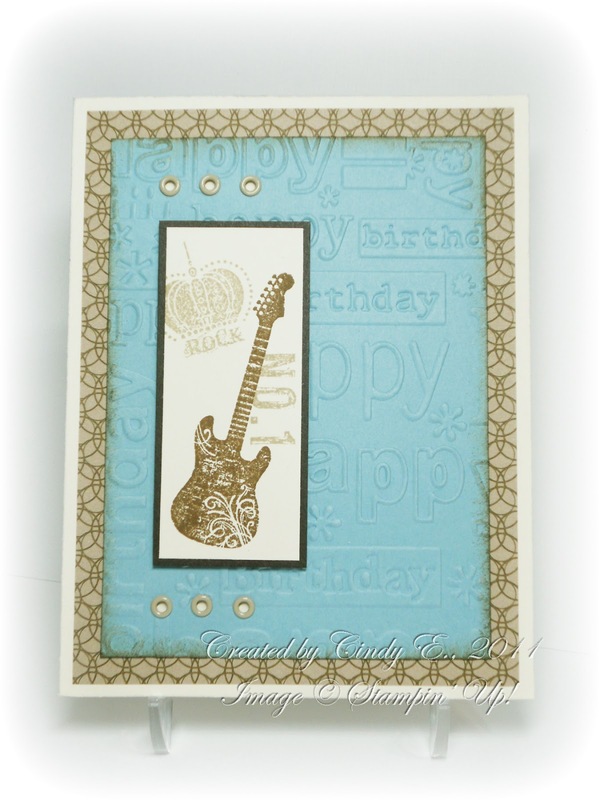 Great color combo on this card Cindy! Very cool, card! Love the colors you chose. I agree with you that they'd work for either a boy or a girl--especially those that play Guitar Hero on the video game boxes.